Having only produced round watch cases to date, save for the one-off made for Only Watch, Laurent Ferrier has now taken the wraps off its fourth case style with an entirely new watch – the Bridge One. 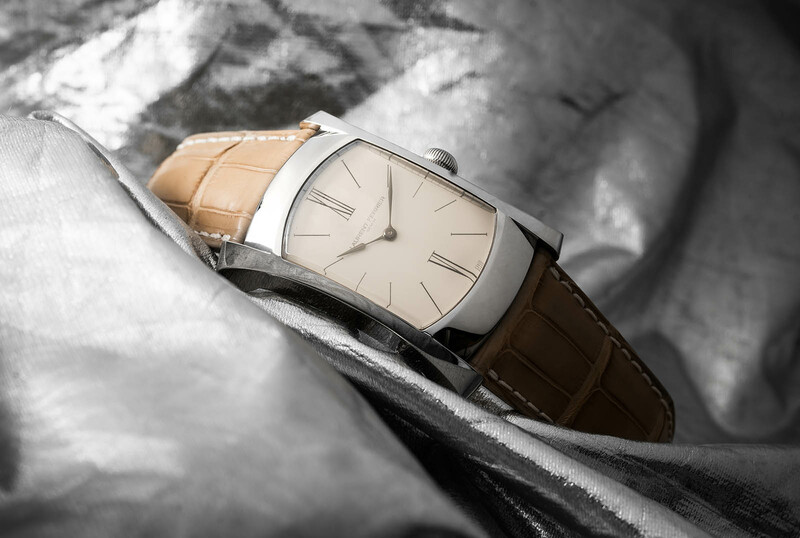 It is a rectangular watch with flared lugs, reminiscent of mid-century form watches from the likes of Vacheron Constantin and Patek Philippe. 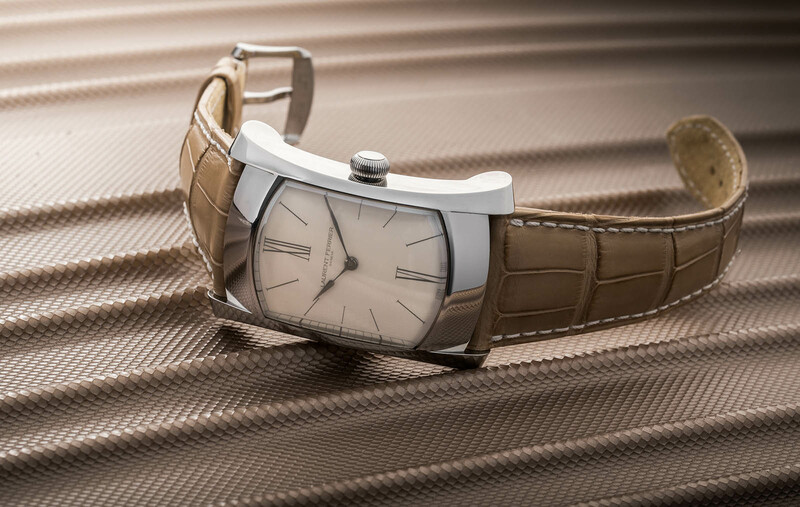 The curve of the case was inspired by the Passerelle de l’Ile in Geneva, a wrought iron footbridge that spans the River Rhone, explaining the model name. The case is stainless steel and measures 30mm by 44mm. The vertical flanks extend outwards and downwards for a more comfortable fit on the wrist. It is topped by a curved, sapphire crystal that follows the shape of the case and like the brand’s other watches, is fitted with a ball-shaped winding-crown. The watch is available with two dial options: a white Grand Feu enamel dial with grey Roman numerals and no seconds, or a grained, slate grey dial with a raised, applied “XII” in white gold as well as a small seconds at six o’clock. Both feature blackened white gold assegai-shaped hour and minute hands. Inside is a new form movement, the hand-wound LF107.01. 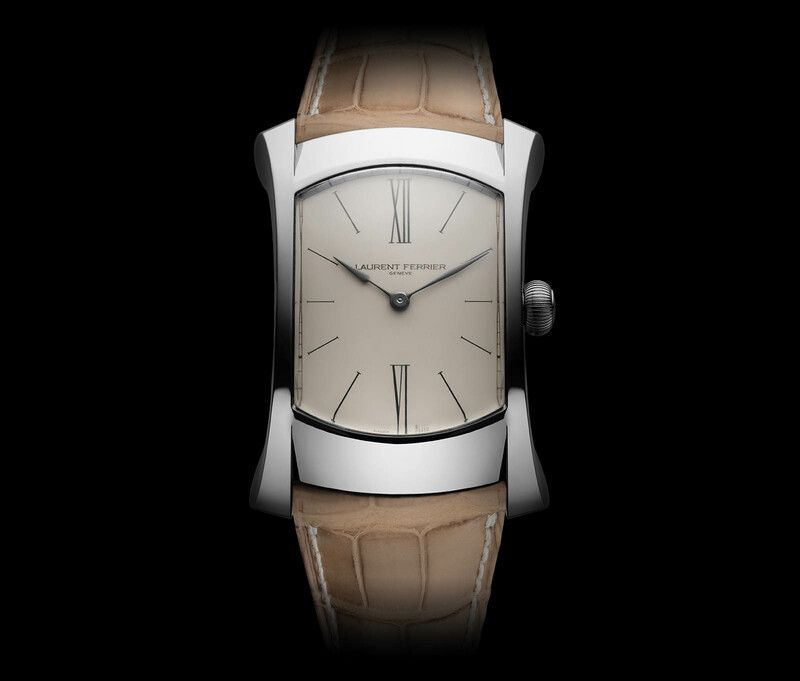 Like Laurent Ferrier’s other movements, it runs at a frequency of 3Hz and offers an 80-hour power reserve. It features a simple Swiss lever escapement with a free-sprung, screwed balance, as opposed to the more elaborate double-wheel Natural Escapement found in the Galet Automatic. The brand has yet to release pictures of the movement but it is presumably finished to the typical Laurent Ferrier standard. Prices and movement details will be added as soon as they are available.